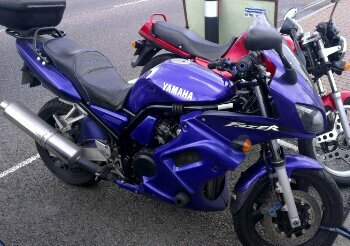 Spotted this nice looking Fazer 600 on holiday whilst in Bognor Regis. Very similar to mine, but with added fairing lowers and some side panels colour coded in blue. Nice Bike!! Wish it was mine!